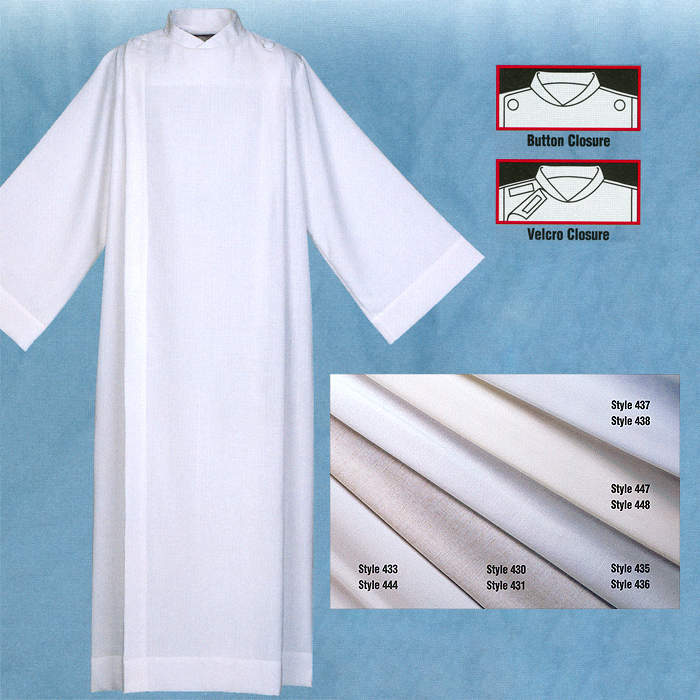 Abbey front wrap alb in 65% cotton and 35% polyester. With covered button closure. Velcro closure at the shoulder is available. Matching belt cinctures for each fabric for each alb is sold separately. Prices are subject to revision without notice from the manufacturer, please contact us to confirm current price.